Very few people think about which plumbing contractor to call until something unexpected happens. When that time comes, you need a plumber who will promptly and professionally diagnose and solve any problem, from pipe leaks and toilet clogs to complex sewer and drain issues. Mr. 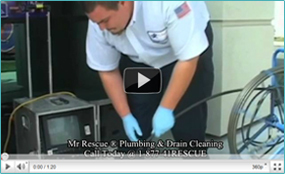 Rescue Plumbing & Drain Cleaning specializes in plumbing and drain cleaning services, with a knowledgeable team of trained specialists with the professional and years of experience to do any jobs right the right first time. You can count on our fast and friendly plumbers to provide safe, courteous and expert services 24 Hours a Day, 7 Days a week 365 days a year. Our experts are background and drug test passed, and are equipped to provide you with the service you need. If you have a comment about Mr. 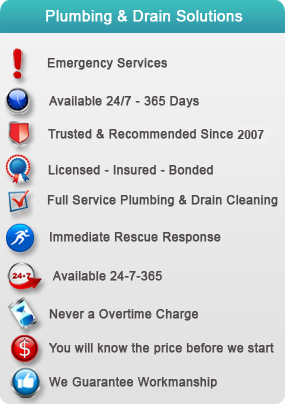 Rescue Plumbing & Drain Cleaning or if you're looking for a specific product, we would like to hear from you. Please fill out the form below, and we will get back to you in a timely manner. To tell us about your experience with Mr. Rescue Plumbing & Drain Cleaning , complete our Customer Survey. If you have a plumbing question, please Ask the Mr. Rescue Plumbing & Drain Cleaning or view our Plumbing or Drain A to Z links which are designed to help you better. Yes! Please send me the Mr. Rescue Plumbing & Drain Cleaning residential newsletter, which provides special offers, promotions, seasonal tips and helpful hints for my home. Yes! Please send me the Mr. Rescue Plumbing & Drain Cleaning commercial newsletter, filled with articles, solutions and products for my business.